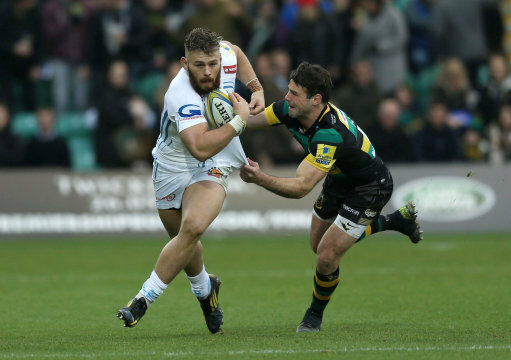 The Chiefs European hopes ended with their defeat at the hands of Glasgow Warriors and they must now put the disappointment behind them and concentrate on retaining the Premiership title. What a frustrating season it has been once again and Rob Baxter and his fellow coaches will have to look at what can be gained from the experience to ensure the Chiefs approach to Europe is successful next season. That's not to say there haven't been plenty of positives from this season particularly in the two games against Montpellier. However there were too many unforced errors in most of the games especially those against Leinster and the final game in Glasgow. A little more in the way of composure and the outcome could have been so different. To me this points to a psychological shortfall in approach rather than any technical deficit in the Chiefs play. The second half at Sandy Park v Montpellier showed how devestating the Chiefs can be when they really click into gear. When they play in that sort of fearless way passes seem to stick and very few knock ons occur. The opposition don't get time to breath as wave after wave of attacks come their way and tere are tries a plenty. There have also been some great performances from Chiefs players and I'd pick Luke Cowan-Dickie as my stand out player. Hopefully the early exit will allow Rob to give some of the guys a well earned break during the AW Cup and the likes of Jo Simmonds a chance to shine. It also means we should remain fresh for the run into the play-offs (which we still have to qualify for of course) and able to keep playing our high tempo game. I for one cannot wait to see how the rest of the season works out and I'm looking forward to some more fun watching the Chiefs really go for it. Losses without bonus points in earlier games cost us and some poor referees decisions! We need to be more savvy and win our home games and target at least a losing bonus point away. With two wins in out first two games we should have been hosed and dusted before the Glasgow game! When the draw was announced, we were forecast by pundits to come 3rd or 4th in our pool, so arguably we have overachieved! It's not just us; the performance of English teams generally has been poor. Sarries only scraped through, we and Wasps finished second but no cigar, Bath finished third, and Quins, Saints and Tigers all finished bottom. Four French, two Irish, one Welsh and one English teams in the quarters. No doubt there will be some sort of post mortem, but it does look as though English teams are getting left behind, despite the much vaunted quality of the Premiership. 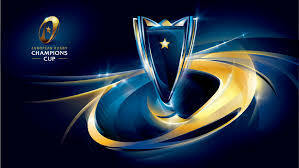 It can't just be a matter of money, otherwise Montpellier would have walked away with our pool, so what is the problem? We were not clinical enough. We had the pressure in all but the Leinster home-game to win with bonus points but did not convert pressure & position into trys. The knock-ons/ over throws etc is something Rob & the team need to look at. These are the basics, do we practice them enough? "To me this points to a psychological shortfall"
I think this was key to our exit. I feel the external pressures and expectations to get a result made us become weighed down pyschologically. ie Leinster Home and Glasgow Away. When we went to Leinster away the expectations and shackles of a result were lessene and we really went for it. Nothing major to sort out but from these experiences in these pressure situations we will all learn. Even the All Black used to choke in must win World Cup games! I agree that this is a psychological / confidence / mindset issue. Which means that it can be solved just like any other problem (ie. fitness, technical skills etc). The pressure of the final game (“must get a BP win”), plus the return of in form Scotland internationals, even the plastic pitch (which I cringed at the way water sprayed around every time the players moved at any pace) would have been psychological elements which we perhaps didn’t deal with in as best a way as we could. Ditto the two Leinster games. I honestly think these are fixable problems and the guys will already be learning from the last game. Clearly disappointing but in the longer term this will make us stronger. IMHO.